DC’s Suicide Squad may be adding another villain to its roster with King Shark, with actor Raymond Olubowale reported to play the role. King Shark, first introduced in the 1990s, is a humanoid shark akin to Batman’s Killer Croc character. The character battled the DC Universe’s heroes until the publisher’s New 52 reboot, when he was then cast as a regular member of Amanda Waller’s Suicide Squad. Olubowale is best known for his role as The Axeman in Resident Evil: Afterlife and Resident Evil: Retribution. While his role as King Shark is still unconfirmed, reports indicate that an official announcement could come soon. 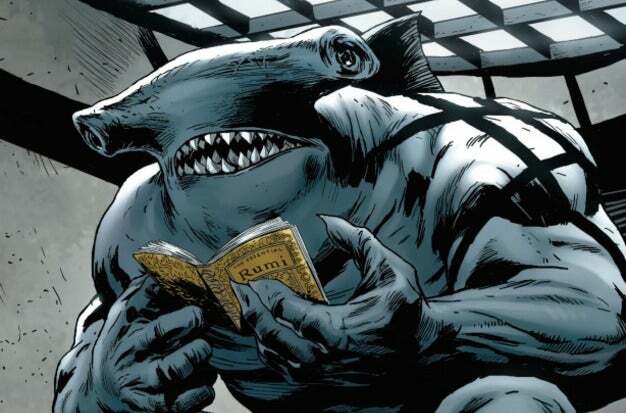 As to whether King Shark would be another Squad member, or another antagonist for the team to fight, is still unknown. Stay tuned for more updates on the character’s involvement.